Greg Morris, Head Golf Professional at Iron Horse Golf Club in Whitefish, MT was awarded the Pacific Northwest Section Merchandiser of the Year for Private Facilities last night at the Pacific Northwest Section Spring Meeting. 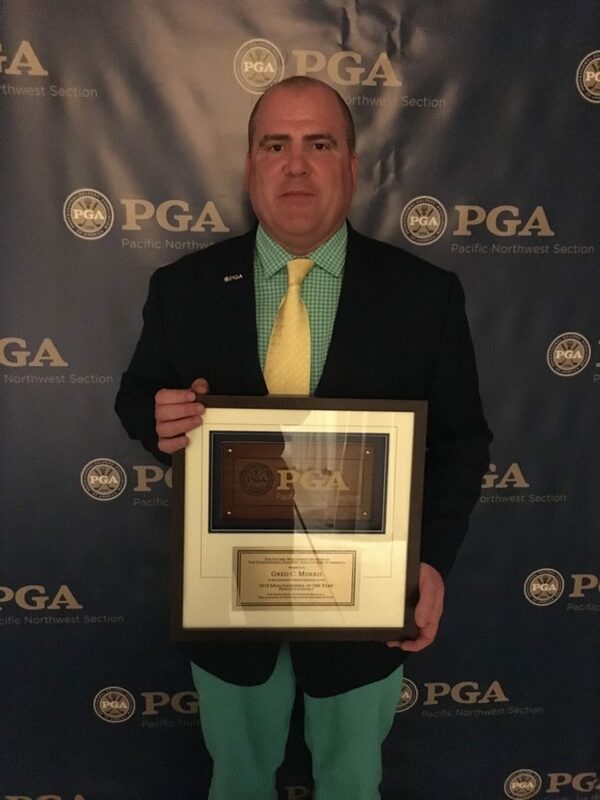 Greg has been hard at work at Iron Horse Golf Club since 2003, earning this honor for the 3rd time to go along with numerous Chapter Merchandiser of Year Awards. Morris is also currently serving a term as the President for the Pacific Northwest Section. Please join us in congratulating Greg on a job well done.